A special election for the volunteer position of the BASC Games Commissioner will be held Thursday, March 2nd during the regular meeting of the General Membership. The meeting will be held in the BASC banquet room which is located at 1001 S. Main Street. 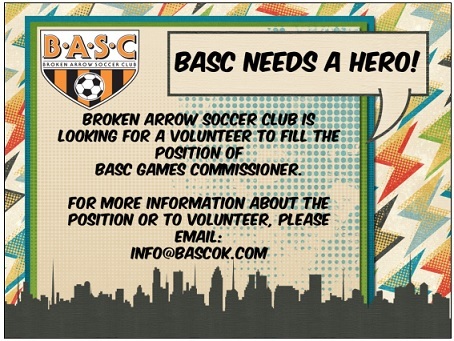 A brief description of this volunteer position is as follows: The Games Commissioner is responsible for activities related to the forming of leagues, scheduling of games, maintenance of league standings, and serves as the chairperson of the Games and Disciplinary committee.